Saving the world is all very well, but at the end of the day, who’s going to balance the books? Accountancy may not be as exciting as the traditional jobs of Hollywood action heroes – archaeologist, super spy, bat-themed vigilante – but that doesn’t mean that they haven’t had some pivotal roles in movies. Calculators at the ready as we list the 10 most memorable Hollywood accountants in history! In Danny Boyle’s debut movie, Christopher Eccleston co-stars with Ewan McGregor as David Stephens, an everyman chartered accountant who becomes involved in some grisly goings-on at an Edinburgh flat. The three white-collar Scottish protagonists discover their flatmate dead of an overdose (alongside a huge pile of cash), and decide that instead of reporting it to the police they will dispose of the body in the titular shallow grave in order to keep his money for themselves. Eccleston’s bizarrely sympathetic performance and the iconic scene where the camera shoots his face from above stood out, even amongst the other talented up-and-coming actors in the cast, and won him the recognition which got him many of his later roles. 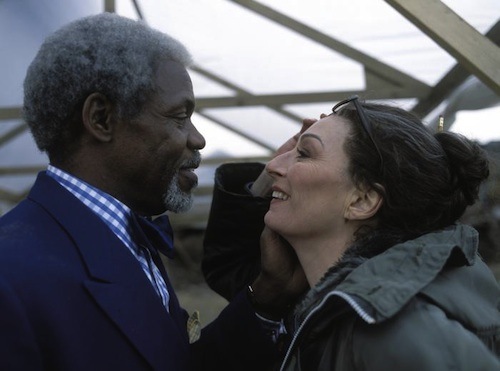 The Royal Tenenbaums was a 2001 movie about a family of ridiculously talented ex-child protégés, with Danny Glover playing against type as soft-spoken accountant Henry, the love interest of Anjelica Huston’s archaeologist. 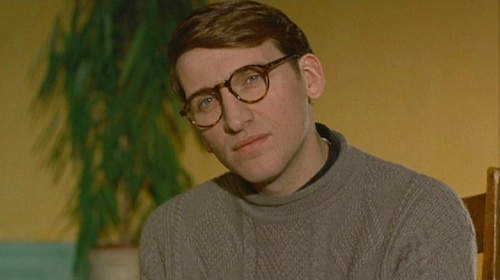 Of all the quirky characters in the movie Henry stands out as possibly the most unusual, precisely because there isn’t anything unusual about him (except maybe his habit of keeping skeletons in his office!). His chemistry with the brash ex-lawyer and patriarch of the family (played by Gene Hackman) is just one of the movie’s many highlights. 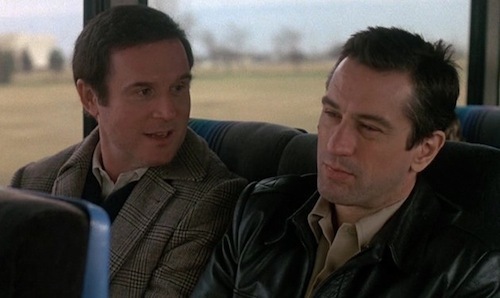 In the 1988 road movie Midnight Run, Charles Grodin’s Jonathan Mardukas is another accountant who uses his skills for unconventional purposes: he’s a runaway white-collar criminal who has defrauded a mob boss of several million dollars. Even playing across from Robert De Niro as the gruff bounty hunter hired to bring him back to jail, Grodin more than holds his own as an actor. The script is smart and funny, but it’s the hilarious chemistry between the two leads (described by Roger Ebert as being two of the finest actors of their generation) which really makes the movie fun to watch. Frat pack star Will Ferrell’s only serious project to date was the rather underrated 2006 movie Stranger than Fiction. 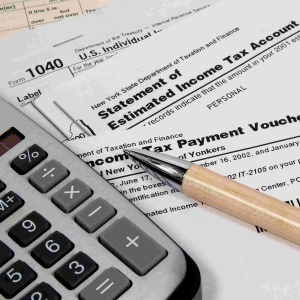 It’s the story of an ordinary IRS employee who starts hearing a voice in his head, narrating everything that happens to him. It turns out that rather than being insane, he’s the main character of a long and rather strange novel (which appears to be a buddy comedy between him and his wrist watch – don’t ask). Unfortunately, the author is famous for killing off the main character of all of her previous books, so Harold and his love interest must find a way to save him from his fate. Ferrell gives a surprisingly good performance as sober, serious Harold – a world away from the goofier roles which made his name. 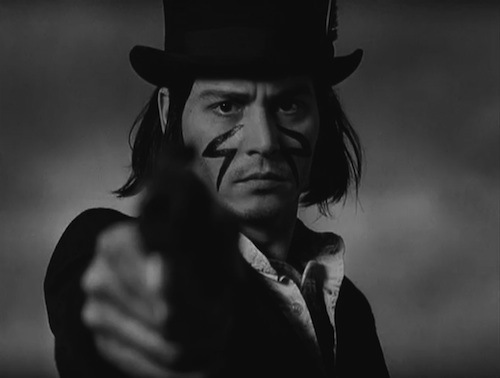 The impossibly cool Johnny Depp plays William Blake, a meek (but still gothic-looking – this is Johnny Depp, after all) accountant fleeing across the Old West after being accused of a murder, all the while being pursued by murderous (and cannibalistic!) hired killers. He is accompanied by a Native American named Nobody, who is attempting to convince him that he is actually the reincarnation of his namesake as well as an important part of the spiritual world. The movie was praised for Depp’s exceptional performance, as well as its Neil Young soundtrack and well-researched portrayal of Native American culture. Traditionally, great cinematic villains have met their ends in a dramatic way: in a life-or-death struggle with the hero, falling into their giant death ray’s main reactor,* even by being gunned down in a blaze of glory by police. Robert De Niro’s Al Capone, though, is probably the first to be brought down by an accountant’s tax fraud investigation. Unassuming number-cruncher Oscar Wallace (Charles Martin Smith) turns out to be a crucial member of the elite Untouchables police team, feeding them the information which leads to them finally bringing the infamous crime lord to trial. De Niro’s performance as a confident, managerial, CEO-type gangster makes the innocuousness of his defeat even more compelling. 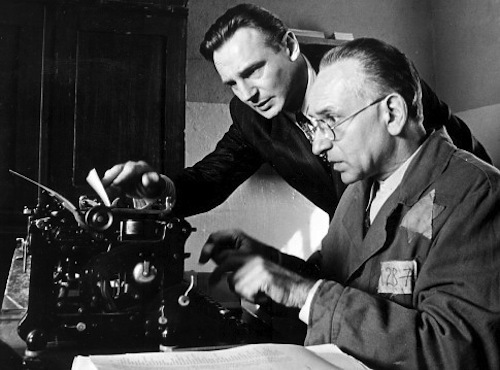 Holocaust drama Schindler’s List featured many great characters, but the real meat of the story was the relationship between gruff German businessman Oskar Schindler (Liam Neeson) and his Jewish accountant Itzhak Stern (Ben Kingsley). 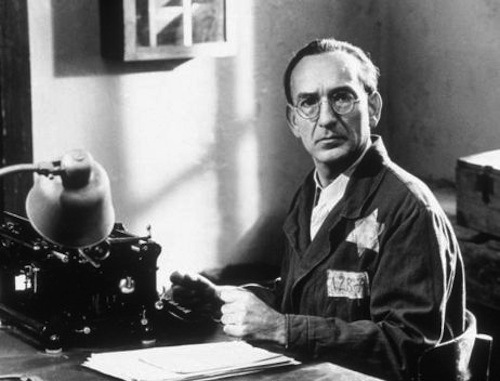 It is this friendship which helps convince Schindler to make his leap into heroism by rescuing hundreds of Jews from the Nazi death camps and sheltering them in his factory. Kingsley’s performance as Stern really brings home the idea of a man surviving in a truly terrifying era of history, but still being determined to live through it with dignity. Even better, he and Schindler were both real historical figures! 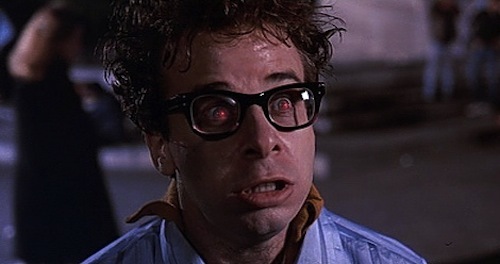 In Ghostbusters, Rick Moranis begins by playing an over-the-top role as geeky pint-sized accountant Louis Tully, who just happens to live in an apartment custom-built to facilitate the end of the world. Amusingly, Tully is equally strange and awkward even after being possessed by the ancient servant of a demon god! The movie is recognized as timeless comedy classic, and Moranis’ delivery helps to sell some of its funniest lines. Who else could deliver “Does anybody wanna play Parcheesi?” and “many Shuvs and Zuuls knew what it was to be roasted in the depths of the Slor” with an equally straight face? 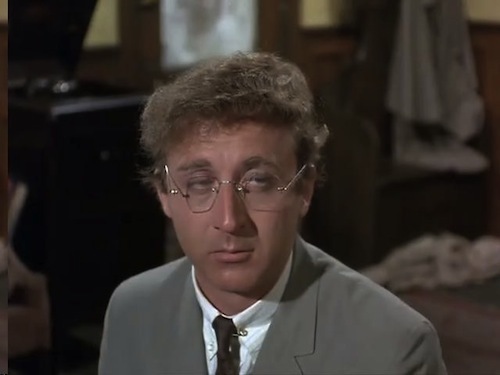 Gene Wilder did some of his funniest work as hyper-neurotic, blanket-dependent number-cruncher Leo Bloom in the Mel Brooks movie The Producers. In his role as the meek and vulnerable Leo, the future Willy Wonka star made the character into a perfect foil for Zero Mostel’s megalomaniac producer Max Bialystock. The poor man is clearly not cut out for a life of crime and during the pair’s scheme to defraud investors in their Broadway play he becomes prone to increasingly hysterical (and hilarious) panic attacks. Despite his being incredibly crooked, it’s hard not to feel sorry for him – maybe it’s Wilder’s puppy-dog eyes which do it!